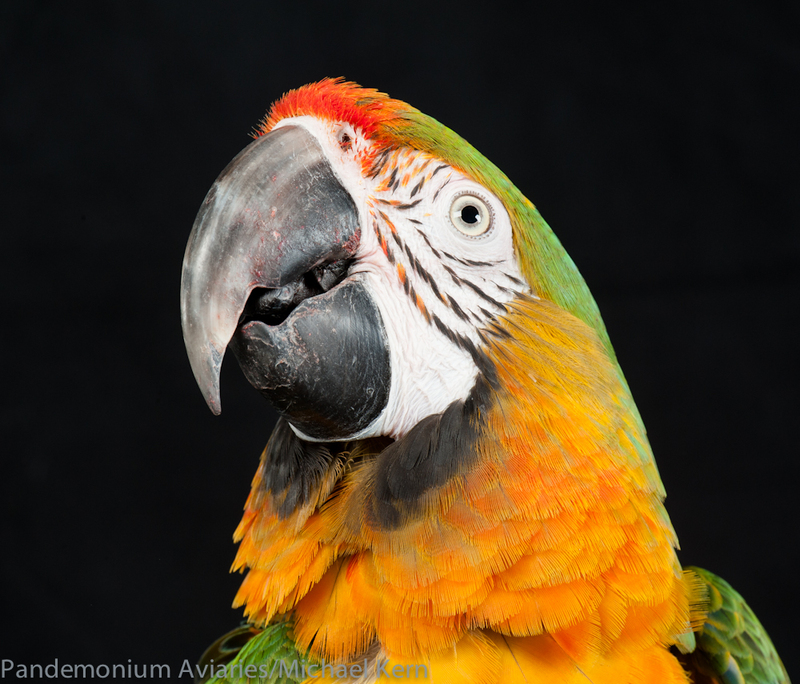 For those of us that started our relationships with birds tentatively and with the slightest tinge of fear accompanying awe, noting the beak on a macaw is an automatic first instinct. And why wouldn't we? They're something amazing. 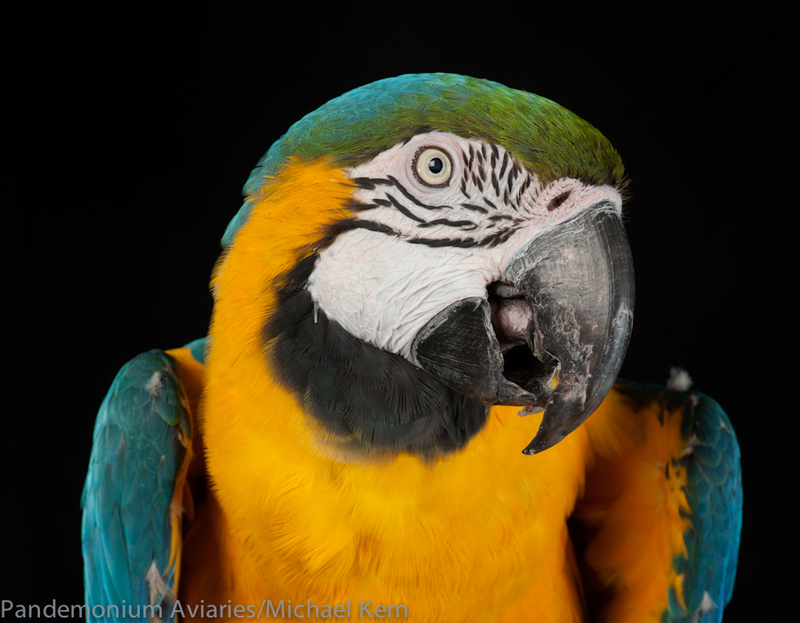 The most conservative estimate would have macaw beaks exerting a pressure of over 500 pounds per square inch, easily crushing a Brazil nut. If that doesn't intrinsically reinforce being cautious, nothing will.There are a lot of uses for beaks that come quickly to mind, in addition to crushing nuts or lunging at an overeager acquaintance to protect their boundaries. Fighting, foraging, killing prey, feeding their young, using tools, luring potential mates-- things we have come to expect. But perhaps we are missing a more delicate feature of beaks. When comparing the native sparrows, finches, and jays that visit Pandemonium Aviaries to the enormous-beaked exotic birds that enamor visitors, the idea that birds from warmer climates have larger beaks than those from colder climates is obvious. But why? What accounts for the huge beaks of the toucans, for example, that one can see when taking a trip to South America? One reason for these beak sizes may be that toucans have shown the ability to regulate their temperatures with their beaks. Considering that birds already operate at a higher metabolic rate than mammals, keeping cool is a very important process and these thermal windows are critical. Luckily enough, toucan beaks are richly lined with blood vessels. By being able to modify the blood flow to their beaks, they can control how they will radiate body heat. When the toucans overheat, blood rushes to their beaks; when the weather is colder, they restrict the flow. In infrared pictures, you can see the toucan's beak light up like an incandescent bulb when they get warmer than their liking. In fact, regulating blood flow in their beaks can account for 30% to 60% of their body's total heat loss, and it is estimated that toucans can lose as much as four times its resting heat through their beaks. While the beaks of tropical birds may register with us first and foremost for their power and strength, we must also recognize that they are even more complicated than we may have anticipated. And while the thermoregulation studies haven't quite panned through with macaws to the same extent as they have with toucans, I can't help but admire at the macaw smiles at Pandemonium Aviaries when they take a break from dancing.